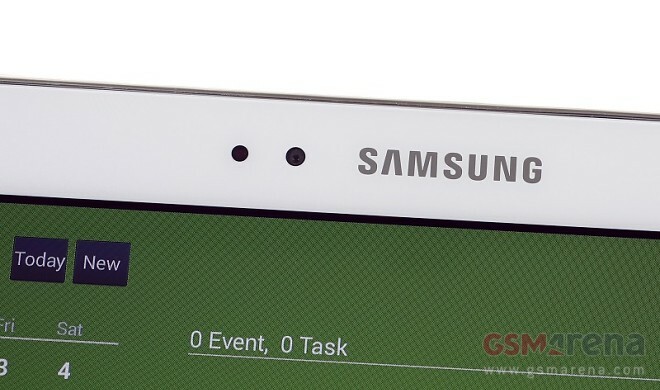 Purported specs of Samsung SM-T800 tablet, which we saw pass through the FCC, with 10.5” AMOLED display emerged on the web. The Korean giant hasn’t released a slate with AMOLED display since the Samsung Galaxy Tab 7.7 from 2011. The Wi-Fi-only Samsung SM-T800 is reportedly powered by a Qualcomm Snapdragon SoC with a quad-core CPU (Snapdragon 801 is rumored as a likely candidate). The 10.5” AMOLED display is tipped to have a resolution of 2560 x 1600 pixels. The tablet will run TouchWiz-ed Android 4.4.2 when launched. The SM-T800 is said to feature an 8MP main snapper and a 2MP front-facing unit. Onboard memory is reportedly 16, 32, or 64GB which can be further expanded via a microSD card slot. USB 2.0 functionality and 7,900 mAh battery wrap up the leaked specs. There is no word on release date of the Samsung SM-T800 slate just yet.